Sunway International School in Battambang! We had an awesome week with the team from Sunway International School (SIS). This was the school’s first official trip. In 2014, students from SIS came in June and December and they had a blast. After both trips, the students could not stop talking about their experience here and word got to their teacher. Soon enough, one of their teacher’s, Emily Carroll contacted us to organize a trip here. We hosted ten students and two teachers this May. It’s a real encouragement and a boost of hope when we see young people stepping out of their comfort zone, changing their perspective of giving and traveling and learning to have empathy for others in an otherwise sterile urban society. Truth to be told, they could’ve spent their holidays lazing around, shopping, watching movies, playing games, surfing the net and doing other things normal teenagers do. But doing normal things don’t produce growth and by stepping out, albeit the short trip, we have already witnessed signs of growth. 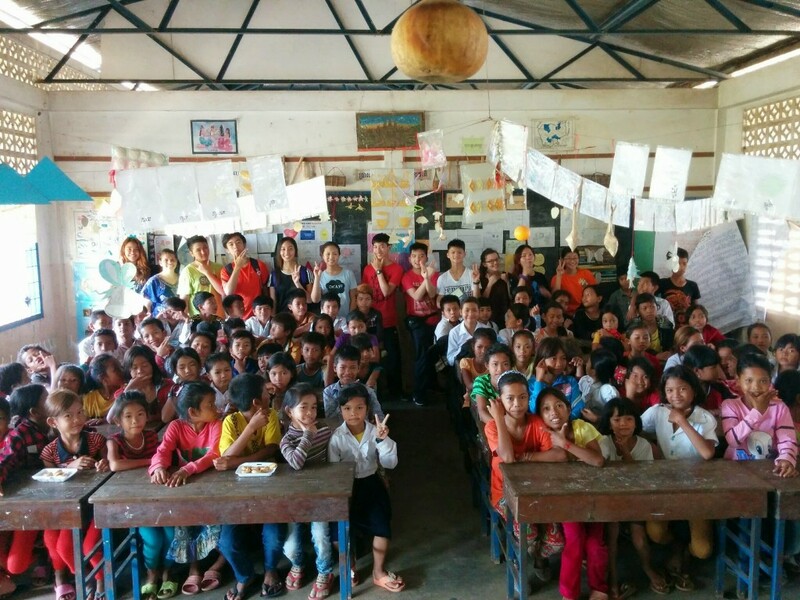 They kicked off their program by conducting an “English For Fun” program with students at Puk Chmaa primary school. This was the first weekend English program for the students and they were so enthusiastic that some even showed up an hour before the program started! The volunteers taught them basic colours, gestures and counting – all interactive and fun! 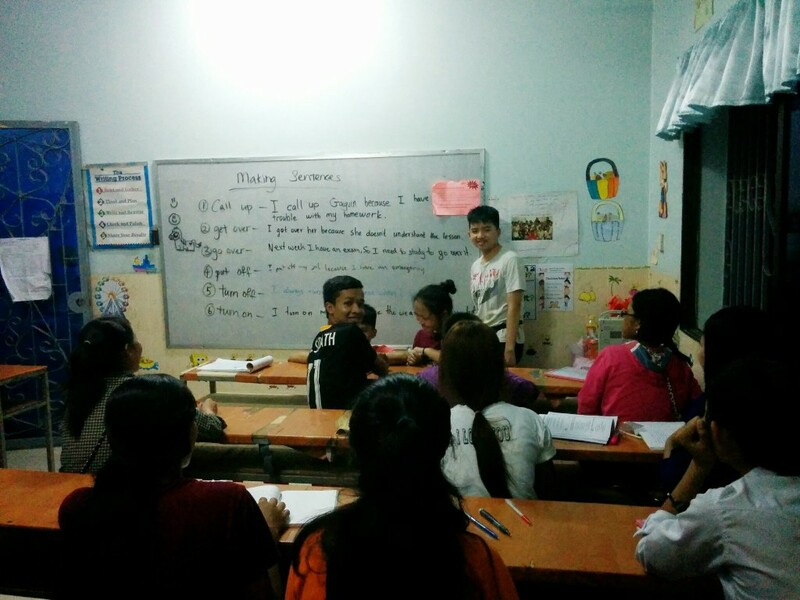 The SIS team taught them basic colours and simple counting in English. Two hours went by swiftly and the students left wanting more! We also had the privilege of having Emily Carroll and Christina Godoy conduct a two-day teacher training workshop for our rural village teachers and some of LOHI’s preschool teachers. The training was practical, fun, interactive and concise. Drawing from their knowledge and experience as teachers, Emily and Christina taught the teachers creative story telling techniques, children student behavioural management, lesson planning tips and phonics. The teachers went away with many tools that can and will be implemented in their classrooms. The SIS team also spent many hours doing construction work. They hauled buckets of sand and bricks and had their first experience at hard labour. 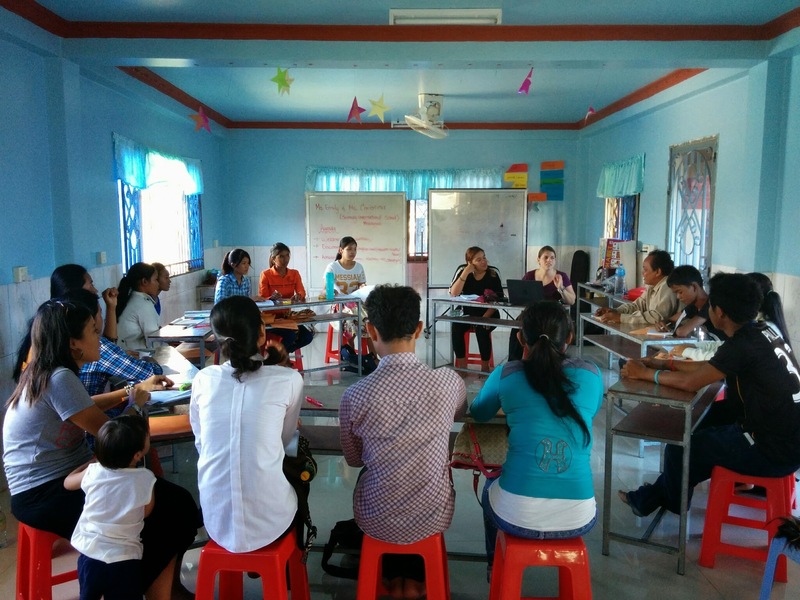 As if not enough, the team also had to teach several English classes at LOHI and manage some preschool classes both in the morning and afternoon. To quote one of them during our final debrief session: “pre school teachers should be paid more than other teachers!”. Oh! The pains of a teacher finally understood by a student. Ah…! The simplicity of friendship is not in material worth, but in the gift of valuing another person for who he/she is. Needless to say, we are so proud of the team. Although their stay was short, but we know that the lessons learnt will follow them through life and make them better people. We hope to welcome them back soon and we’re definitely excited to see a sustained partnership with SIS. First of all, thank you for helping and leading us SIS students through the four days of us in Battambang. Although I have done volunteering work like this a couple of times, this trip has taught me different. It was not just all about how to develop an understanding towards their lifestyle and living condition, it taught me more about the many different ways of how different people learn. Throughout the teaching process, I’ve learned to be patient and understand how people of different literacy levels interpret the knowledge they learn. Overall this trip was really fun, I have also learned the different cultures and traditions in Cambodia. Coming from a city where the only wind I feel comes from manufactured air conditioners and the only stars I see at night are aeroplanes, volunteering in Cambodia was most definitely a challenge. Volunteering has taught me how to appreciate everything I am fortunate to have. 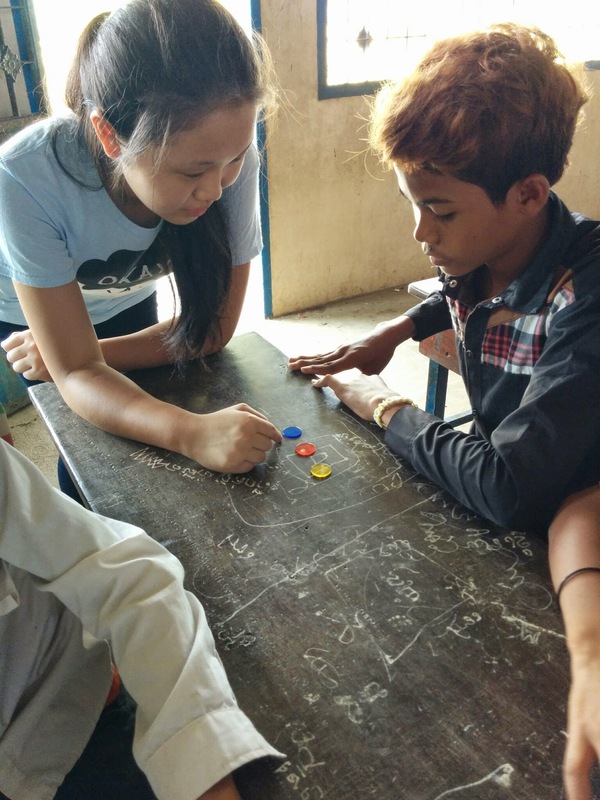 Teaching English to the Cambodian students appeared tough at first, but it showed me that communication has no barriers, and it first begins with a smile. The experience in Cambodia was wonderful and truly rewarding. The trip was an exposure to a different culture and environment. 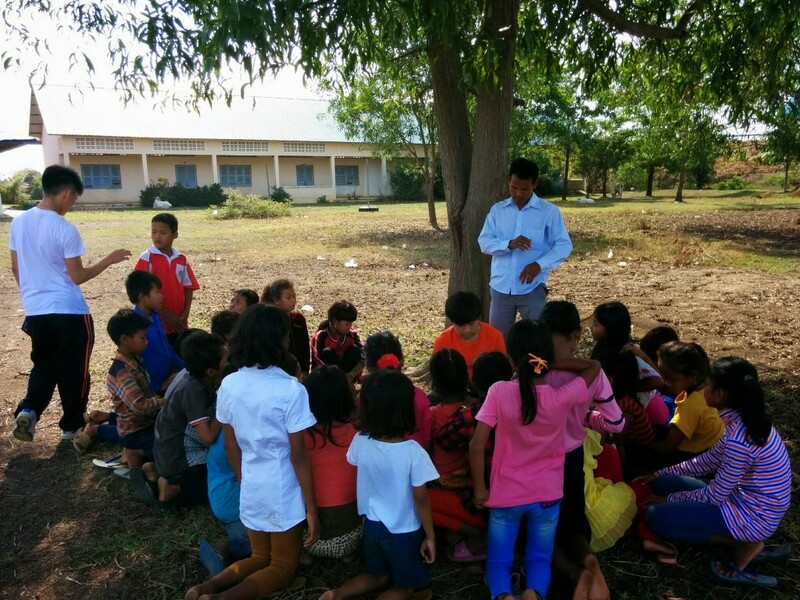 It was a challenge to the volunteers both physically and mentally, constructing the soon-to-be classrooms and teaching English to the Cambodian students. I have learned to be patient and to appreciate everything down to the smallest parts in my daily lives. I appreciate my life, the privilege to education. I now understand the hard work and sweat construction workers put into every building and house in the city. I have also learned that language barriers do not affect developing friendship. Furthermore, it becomes easier with no electronics on hand, without the phone ringing in every few minutes or seconds. Communication is not a problem when we have the heart to teach. I might go back to Cambodia as one week was too short for a bigger impact. I thank S.T.O.R.M for giving us the opportunity to improve our skills and open our eyes to a wider view.